For this layout Rach cut the sheet of Robin paper down to 8.5x11, then used the left over strip, flipped it over to create the strip of patterned paper. She then just added some stamps and the monograms to the layout for a really effective but quick layout to achieve. Rach has used some beautiful Urban Window papers here and handcut the flowers from the patterned paper for a stunning look. For this layout Mel handcut a series of flowers (using boho chick whimsy wild patterned paper) and used the small petals as an edging for the photograph. The boho chick goodie box provided the tags and accents and a splash of hand stitching around the outside edge helped to frame the page. 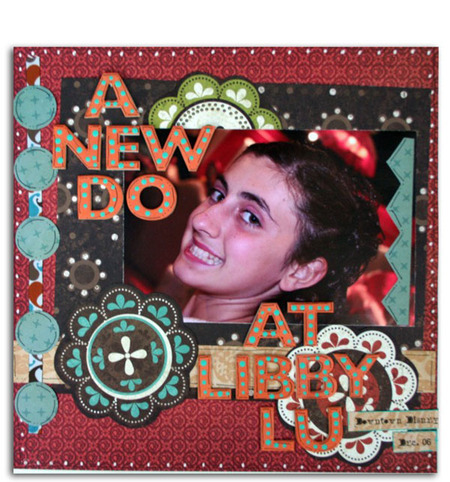 For this layout Mel combined the We R Memory Keepers Boho Chic ribbons, papers and goodie box to create a boyish feel to the layout. 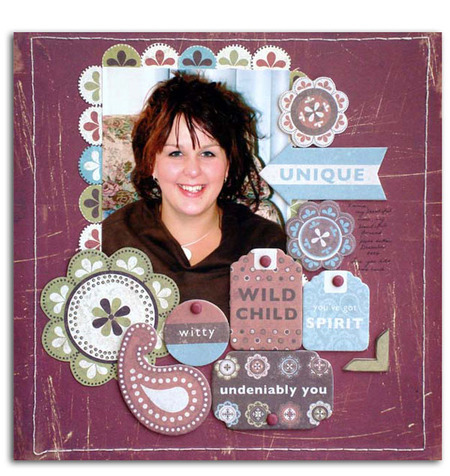 By using the plainer side of the Boho Chic patterned paper this has easily been achieved. The arrows from the goodie box are perfect for journaling too! 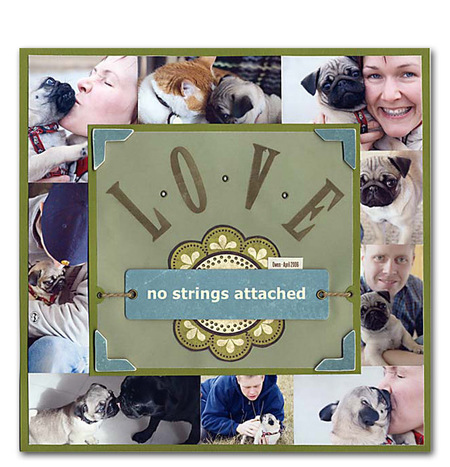 We fell in love with the sheer vibrancy of this layout by Wendy Rago. If you look closely you will see that Wendy has added some doodling on the lettering and patterned paper for a very cool effect. 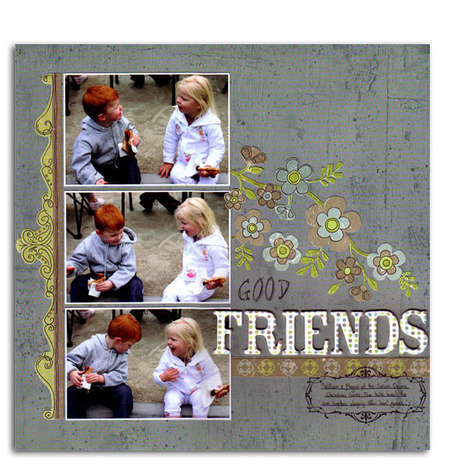 This layout by Mary MacAskill caught our eye instantly. 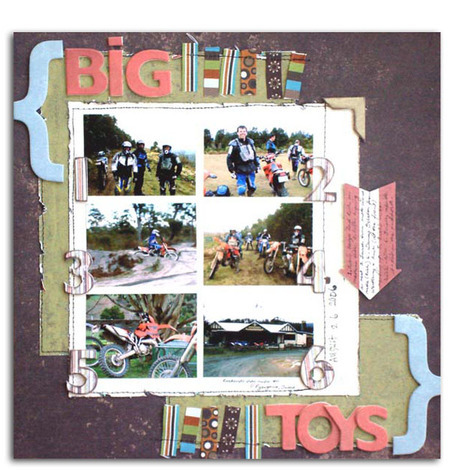 We adored how Mary had placed the photographs around the outside edges of the layout with a large title in the centre. Such an effective use of multiple photos. 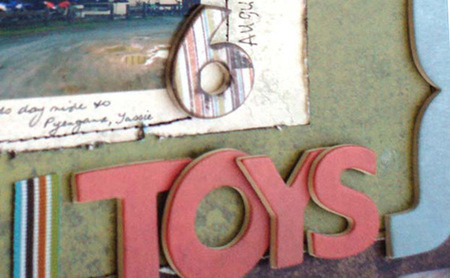 Anabelle O'Malley's scrapbooking pages have caught our eye before and this layout is no exception. 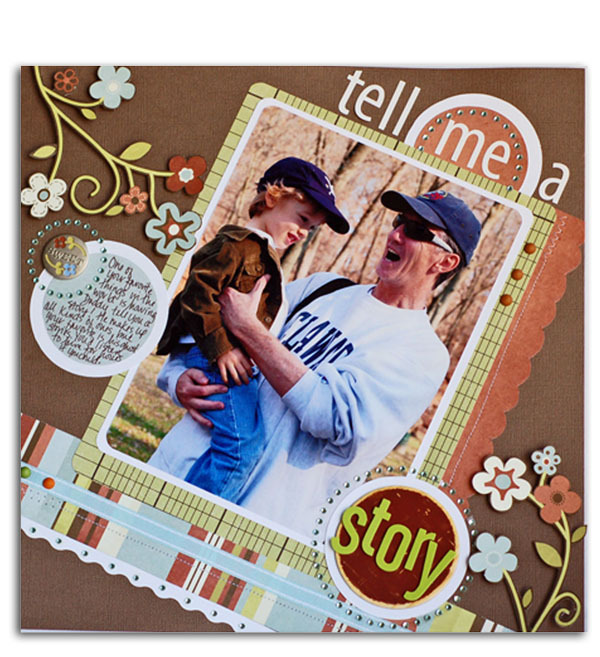 'Tell me a story' is fun, funky and we adored the handcut flowers, circle theme and cleverly placed bling on the page. This beautiful layout was created by one of Australia's home grown talent, Mel Diener. 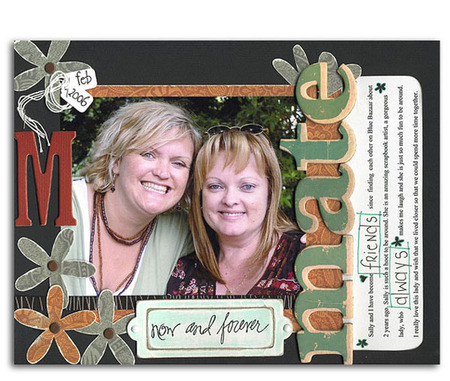 The layout features two of her scrapping friends, Sally and Julie. We loved the earthy tones, title placement and it's always lovely to see a layout featuring friendships.